Product code: 195 Categories: Sold Items, Sold Jewellery. 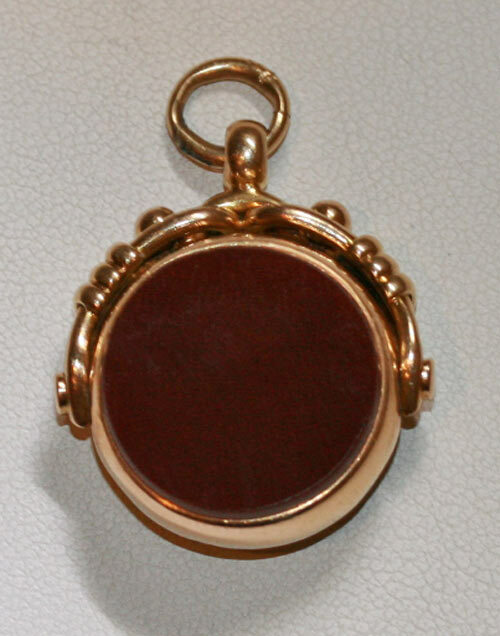 Swivels like these were very often made in 9ct, yet this one is made in 18ct gold. 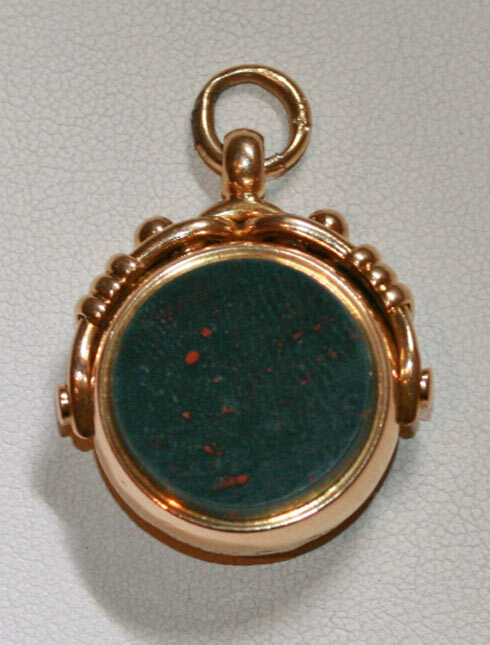 With a fancy top, and carnellian on one side and bloodstone on the other, it was made in Birmingham 1900.